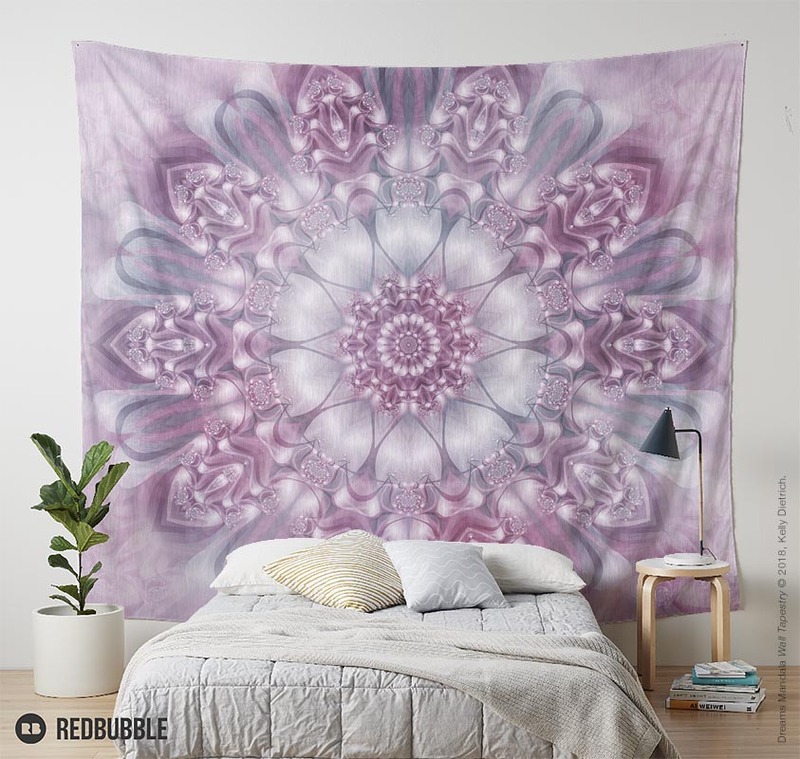 Dreams Mandala Wall Tapestry available in my Redbubble shop. Happy New Year everyone! I'm hoping to have lots of new designs added to my shops this year, starting with my Dreams Mandala (shown). And to celebrate, all of my wall art, including wall tapestries, are 25% off today - 1/11/18 - in my Redbubble shop. Use code: WALLS25 at checkout to get the discount.